Ray Horton is the new defensive coordinator of the Titans. The Tennessee Titans’ new coaches are busy getting to know all their new players. Ken Whisenhunt still has a couple more positions to fill on his coaching staff, but he introduced his coordinators, Jason Michael and Ray Horton on Wednesday. The coordinators, along with the other assistants Whisenhunt has hired so far, have been trying to get familiar with the Titans by watching video of the 6-10 season that got Mike Munchak fired on Jan. 4. Michael has studied how the offense performed in the first five games of the season. Horton is through eight contests and the defensive coordinator expects to be done by Friday. Individual evaluations remains on the to-do list, so neither the coach nor his coordinators is ready to say much about a specific player just yet. Whisenhunt, hired Jan. 13, had to replace nine coaches from Munchak’s staff though he kept assistants like receivers coach Shawn Jefferson, running backs coach Sylvester Croom, secondary coach Steve Brown and special teams coach Nate Kaczor. He has hired plenty of assistants that he’s worked with before. Horton was his defensive coordinator in Arizona the final two years of Whisenhunt’s tenure as head coach, and Whisenhunt worked with Michael last season in San Diego. 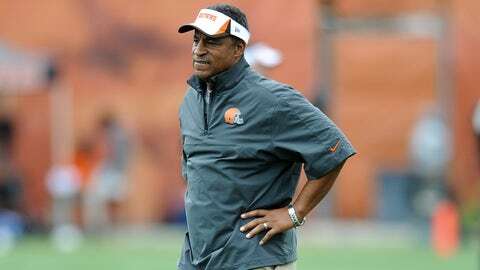 Horton went from Arizona to Cleveland in 2013 where he coached the Browns to the eighth-stingiest unit against the pass in his lone season. Whisenhunt wants to run a hybrid 3-4 in Tennessee, which will be a switch from the 4-3 scheme used by the Titans since moving to the state in 1997. The coordinator said he’s been impressed by the speed and athleticism in Tennessee with personnel more important than the scheme or system used. Horton said he expects to use less Cover 2 than the Titans did in 2013. The coordinator also complimented cornerback Jason McCourty’s tackling when asked about safety Bernard Pollard, who will be a free agent in March, and also Derrick Morgan’s speed when asked about the defensive end. The biggest questions for the Titans are what they will do with running back Chris Johnson, who is due $8 million in 2014 after needing a big game in the season finale to top 1,000 yards, and teaching Jake Locker with Michael his third offensive coordinator in his four seasons. Whisenhunt said Johnson has been a good player in the NFL that he respects a lot but they need more than two weeks of study. Locker is recovering from surgery to repair a Lisfranc injury in his right foot.